England and Wales are determined to introduce Landlord Licensing it is simply more a question of when not if- Should not the experience of licencing in Scotland be a lesson in reality. According to one MP (the Scottish Conservative MSP Alex Johnstone) the Scottish Government’s landlord regulation scheme has been an extremely costly mistake. Damning figures have been seen to report, that in the five years of spending multi-million pounds on a scheme to try to curb the rogue landlords, the number of individuals to have been reported was only 11. Branding the scheme as a “costly” failure, after the Scottish Conservatives had obtained the data, they strongly claim it has totally failed to weed out the extremely high numbers of rogue landlords. Although 200,000 landlords have been allowed on the list, just 40 landlords have been refused registration. In a bid to protect both tenants and landlords the scheme by the Scottish Government was set up five years ago. 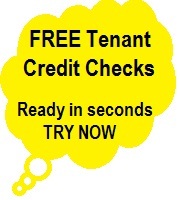 Every local authority received a fee of £55 from each landlord and agent that had applied to them. In addition a further fee of £100 had to be paid for each property and all members had to prove beyond doubt they were indeed “fit and proper persons to let property” to achieve their registration as passed. In a session of parliamentary questions Alex Johnstone the Scottish Conservative MSP, revealed many details of the scheme. He showed that there were apparently only 40 landlords that had been refused registration and deemed as rogues. “This farcical programme, introduced with the best of intentions, is failing to deliver at a tremendous cost to the taxpayer,” Johnstone argued. He also argued that people who fitted all the criteria of being responsible, who wanted to get into the property business, were being kicked where it hurts right in the pocket. Labour fought for a landlord register, as they believed that there were was not any real landlord regulation but the Coalition wanted nothing of it and duly kicked it into touch. Opponents were only too happy to see that the Scottish Government’s scheme had failed. So what of the council’s that have started to register landlords such as Newham and shortly Liverpool City, will they experience similar results? The most respected of the several private rental industry bodies operating in the UK, are the Association of Residential Letting Agents (ARLA) and The Property Ombudsman and even they are not Government-regulated. This does not protect tenants as they can only complain about lettings agents who are registered with them. Their last action they can take is by having to go through the small claims court. their pound of flesh. Landlords are not an underground movement as a quick scan of the Land registary identifies multiple property owners.... so we can't hide. Legislation exists and councils have the tools and resources to pursue any indivual they so choose, not only can we be proscuted and then told we are no t"a fit and proper person to rent property" [2004 Housing Act] we can be fined £20,000, ordered to repay the past 12 months rent andhave costs set againsts us. We've not even covered tenant claims for compensation - aren't the mechanisms already in place.... so is national licencing simply overkill ? If I can charge a million people a fee per rental unit then then the council can offset their costs of providing services by simply assigning the costs of staff and workspace to a housing cost centre. The revenue derived from fees helps the councils balance their books because such services were previously assigned to another cost centre. These fees are for applications for a Selective or Additional property licence. These fees are for applications for a Mandatory HMO property licence. Licences will be issued for a period of up to 5 years and renewal applications must be submitted before the expiry of the current licence. Where the London Borough of Newham has had to take enforcement action a licence may be revoked and require a new application and fee to be made.